In recent years, the concentration of chemical pollutants in environmental matrices have increased dramatically as a consequence of anthropogenic activities, generating harmful conditions for living organisms, including humans. The negative effects of pollutants are exerted at different levels of biological organization and at different time-scales. Pollutants exposure first can induce effects at the molecular, cellular and physiological levels before more integrated effects are evident at higher levels. Loss and degradation of habitats, loss of biodiversity, and alterations of natural resources are some of the main impacts of pollution on ecosystems at higher time scales. With respect to human health, pollution is the largest environmental cause of human disease and death in the world today, responsible for an estimated 9 million premature deaths [1Landrigan PJ, Fuller R, Acosta NJR, et al. The Lancet Commission on pollution and health. Lancet 2018; 391(10119): 462-512. [http://dx.doi.org/10.1016/S0140-6736(17)32345-0] [PMID: 29 056410] ], air pollution being the main environmental cause of human disease and death, followed by water pollution, occupational chemical exposure and soil pollution [1Landrigan PJ, Fuller R, Acosta NJR, et al. The Lancet Commission on pollution and health. Lancet 2018; 391(10119): 462-512. [http://dx.doi.org/10.1016/S0140-6736(17)32345-0] [PMID: 29 056410] ]. This growing concern towards the harmful effects of chemical pollutants on wildlife and human health accounts for the growing interest to early warning tools for the identification, estimation, and assessment of the risks posed by chemical pollutant discharges to the environment. Last years have known a developed awareness that chemical data alone of pollutant concentrations in environmental matrices (air, water, sediments, and soil) are insufficient to reliably assess the potential risks of pollution for living organisms and human health [2Burgeot T, Akcha F, Ménard D, et al. Integrated monitoring of chemicals and their effects on four sentinel species, Limanda limanda, Platichthys flesus, Nucella lapillus and Mytilus sp., in Seine Bay: A key step towards applying biological effects to monitoring. Mar Environ Res 2017; 124: 92-105. [http://dx.doi.org/10.1016/j.marenvres.2016.10.009] [PMID: 2 7839718] ]. Moreover, risk assessment of chemical pollutants to organisms and ecosystems is made complex by a number of factors including: a) the diversities in chemical nature and toxic action of pollutants, b) the simultaneous presence of several pollutants in mixture that can exert additive/synergic effects on the organisms, c) the bioavailability of pollutants also influenced by a number of environmental factors, d) the different sensitivity of the organisms to pollutant exposure and effects [3Connon RE, Geist J, Werner I. Effect-based tools for monitoring and predicting the ecotoxicological effects of chemicals in the aquatic environment. Sensors (Basel) 2012; 12(9): 12741-71. [http://dx.doi.org/10.3390/s120912741] [PMID: 23112741] ]. In this complex framework, the requirement for an integrated chemical and biological approach in pollution monitoring has grown and, in turn, the interest for measurable effects of chemical pollutants on living organisms including humans has developed. Pollution biomarkers can be defined as quantitative measures of changes in a biological system with respect to its normal status in response to pollutant exposure. In general they are referred to changes at low levels of biological organization (e.g., molecular, cellular, physiological) [4Dagnino A, Sforzini S, Dondero F, et al. A “weight of evidence” approach for the integration of environmental “triad” data to assess ecological risk and biological vulnerability. Integr Environ Assess Manag 2008; 4(3): 314-26. [http://dx.doi.org/10.1897/IEAM_2007-067.1] [PMID: 1839 3577] , 5Hagger JA, Jones MB, Leonard DR, Owen R, Galloway TS. Biomarkers and integrated environmental risk assessment: are there more questions than answers? Integr Environ Assess Manag 2006; 2(4): 312-29. [http://dx.doi.org/10.1002/ieam.5630020403] [PMID: 1706 9174] ]. It is generally accepted that the effects of pollutants at lower levels occur earlier than those at higher levels (e.g., population effects). Therefore, molecular and cellular biomarkers may provide a sensitive early warning of more integrated toxicological effects that can occur later within populations [6Hook SE, Gallagher EP, Batley GE. The role of biomarkers in the assessment of aquatic ecosystem health. Integr Environ Assess Manag 2014; 10(3): 327-41. [http://dx.doi.org/10.1002/ieam.1530] [PMID: 24574147] ]. In complement with the measurement of contaminants in environmental matrices, biomarkers offer a biologically relevant information on the exposure to bioavailable pollutants and on potential impacts of pollutants on the health of the exposed organisms. Biomarkers meet the emerging need of early warning tools for detection of exposure and adverse biological responses to pollutants. This accounts for the growing development that this research field has known in recent years both in environmental sciences and human health monitoring. Biomarkers can be used to assess the nature and the extent of the exposure, to identify alterations occurring within an organism, and to assess underlying susceptibility of an organism (Fig. 1 ). They can help to increase the understanding of the processes by which a chemical is absorbed and transformed within an organism to determine alterations at the cellular and molecular levels leading to a toxic effect. Therefore, depending on the specific biological response used as biomarker and on the point on the continuum from exposure to pathology (Fig. 2 ), where the measured biomarker come from, biomarkers may be classified into biomarkers of exposure, biomarkers of effect, and susceptibility [7Schettino T, Caricato R, Calisi A, Giordano ME, Lionetto MG. Biomarker approach in marine monitoring and assessment: new insights and perspectives. Open Environ Sci 2012; 6: 20-7. [http://dx.doi.org/10.2174/1876325101206010020] ]. Biomarkers of exposure provide an indication of the occurrence and extent of exposure of the organism to various compounds. They are early reversible cellular changes in the organism, often based on the activation of detoxification mechanisms. Biomarker of exposure can give information on the route, pathway, and, sometimes, even the source of exposure. Strictly speaking a biomarker is defined as a biological response to a chemical or a group of chemical agents. However, the measurement of a xenobiotic in a biological system or sample is often used as “biomarker of internal dose”, particularly in human biomonitoring [8Ladeira C, Viegas S. Human Biomonitoring – An overview on biomarkers and their application in Occupational and Environmental Health. Biomonitoring 2016; 3: 15-24. [http://dx.doi.org/10.1515/bimo-2016-0003] ]. It represents the likely concentration of a parent compound or metabolite at the target site. On the other hand “biomarkers of effective dose” are markers measured in the target tissues or surrogate tissue (such as saliva, urine) that reflect the interaction of the absorbed compound with a subcellular target. 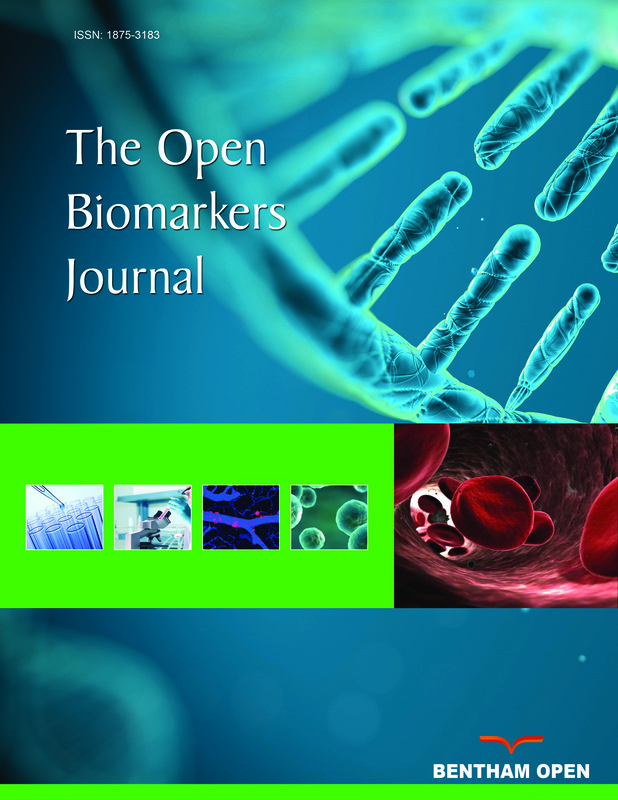 Examples of biomarkers of effective dose can be represented by alteration in enzyme activities or formation of DNA adducts or protein adducts in circulating blood cells [8Ladeira C, Viegas S. Human Biomonitoring – An overview on biomarkers and their application in Occupational and Environmental Health. Biomonitoring 2016; 3: 15-24. [http://dx.doi.org/10.1515/bimo-2016-0003] ]. Biomarker usefulness in monitoring and assessment. Graphical representation of the continuum from exposure to pathology. Biomarkers of effect include biochemical or physiological changes in target tissues that occur as result of exposure. They give an assessment of a toxicological effect on the organisms and are directly related to the risk of adverse health effects [9de la Torre FR, Salibián A, Ferrari L. Assessment of the pollution impact on biomarkers of effect of a freshwater fish. Chemosphere 2007; 68(8): 1582-90. [http://dx.doi.org/10.1016/j.chemosphere.2007.02.033] [PMID: 17434566] ]. Biomarkers of susceptibility indicate an inherent or acquired ability of an organism to respond to specific pollutant exposure [10Manno M, Viau C, Cocker J, et al. Biomonitoring for occupational health risk assessment (BOHRA). Toxicol Lett 2010; 192(1): 3-16. [http://dx.doi.org/10.1016/j.toxlet.2009.05.001] [PMID: 1944 6015] ]. In fact, inter-individual biological differences may cause some individuals to be more susceptible to environmentally induced diseases and serve as markers of susceptibility. The specificity of biomarkers to pollutants ranges from highly specific biomarkers such as metallothionein induction by metal (Cu, Hg, Zn, Cd) [11Lionetto MG, Giordano ME, Caricato R, Pascariello MF, Marinosci L, Schettino T. Biomonitoring of heavy metal contamination along the Salento coast (Italy) by metallothionein evaluation in Mytilus galloprovincialis and Mullus barbatus. Aquatic Conser: Mar Freshw Ecosyst 2001; 11: 305-10. [http://dx.doi.org/10.1002/aqc.458] , 12Calisi A, Lionetto MG, De Lorenzis E, Leomanni A, Schettino T. Metallothionein induction in the coelomic fluid of the earthworm Lumbricus terrestris following heavy metal exposure: a short report. BioMed Res Intern 2014. Article ID 109386] or aminolevulinic acid dehydratase (ALAD) inhibition by lead [13Gonick HC. Lead-binding proteins: A review. J Toxicol 2011. Article ID 686050] to those that are unspecific such as DNA damage or immune system impairment. However, it has to be pointed out that when different specific biomarkers are used together, a complementation among biomarkers can be realized that results into an overall higher degree of specificity [14Gil F, Pla A. Biomarkers as biological indicators of xenobiotic exposure. J Appl Toxicol 2001; 21(4): 245-55. [http://dx.doi.org/10.1002/jat.769] [PMID: 11481655] ]. The number and type of effects that environmental pollutants, normally present in complex mixture in the environment, can exert on living organisms are very complex and multifaceted. Therefore, the use of a multibiomarker approach is strongly recommended in biomonitoring, allowing to produce results that integrate the contribution of the different routes and sources of exposure. The selection of the most relevant biomarker responses to be included in the multimarker approach in agreement with the objectives of each specific biomoni-toring program has to meet some criteria. Some of them include the sensitivity of the biomarker, its dose- and time dependent response, its biochemical memory (how long after exposure the response lasts), its natural variability [5Hagger JA, Jones MB, Leonard DR, Owen R, Galloway TS. Biomarkers and integrated environmental risk assessment: are there more questions than answers? Integr Environ Assess Manag 2006; 2(4): 312-29. [http://dx.doi.org/10.1002/ieam.5630020403] [PMID: 1706 9174] ]. In order to ensure a proper toxicity assessment, biomarkers should responds to a pollutant in a dose-dependent manner over an environmentally realistic concentration range of pollutants. Moreover, the link of the biological response used as biomarker to important biological processes and to pathological consequences is considered of relevance in both environmental assessment and heath assessment. In environmental biomonitoring, measurements of biomarker responses in sensitive species (sentinel species) can be used as an early warning of alteration at population levels with the objective of monitoring environmental quality and assess changes in the environment [15Parmar TK, Rawtani D, Agrawal YK. Bioindicators: the natural indicator of environmental pollution. Front Life Sci 2016; 9(2): 110-8. [http://dx.doi.org/10.1080/21553769.2016.1162753] ]. The use of the biomarker approach in field surveys of contaminated environments has grown in the last years. This arises from the fact that biomarkers, as tool for pollutant exposure detection and effect assessment, can be useful for decision-making in a number of environmental management related activities such as ecosystem’s service and habitat protection or implementation of remediation procedures. The EU Water Framework Directive (WFD, Directive 2000/60/EC) and the Marine Strategy Framework Directive (MSFD), that provide the guidance for monitoring programs required to assess the achievement of good chemical and ecological status of water bodies, pointed out the importance of biological monitoring for the determination of water quality [7Schettino T, Caricato R, Calisi A, Giordano ME, Lionetto MG. Biomarker approach in marine monitoring and assessment: new insights and perspectives. Open Environ Sci 2012; 6: 20-7. [http://dx.doi.org/10.2174/1876325101206010020] ]. In this framework specific suites of molecular and cellular biomarkers are widely used to assess impacts of environmental chemical stress on bioindicator organisms in complementation with chemical analysis on environmental matrices, which lack of information on bioavailability and toxic potential of pollutants [16Viarengo A, Lowe D, Bolognesi C, Fabbri E, Koehler A. The use of biomarkers in biomonitoring: A 2-tier approach assessing the level of pollutant-induced stress syndrome in sentinel organisms. Comp Biochem Physiol C Toxicol Pharmacol 2007; 146(3): 281-300. [http://dx.doi.org/10.1016/j.cbpc.2007.04.011] [PMID: 1756 0835] , 17Turja R, Höher N, Snoeijs P, et al. A multibiomarker approach to the assessment of pollution impacts in two Baltic Sea coastal areas in Sweden using caged mussels (Mytilus trossulus). Sci Total Environ 2014; 473-474: 398-409. [http://dx.doi.org/10.1016/j.scitotenv.2013.12.038] [PMID: 24 388819] ]. A number of biomarker responses have been studied in selected bioindicator organisms, particularly in invertebrates [18Hagger JA, Jones MB, Lowe D, Leonard DR, Owen R, Galloway TS. Application of biomarkers for improving risk assessments of chemicals under the Water Framework Directive: A case study. Mar Pollut Bull 2008; 56(6): 1111-8. [http://dx.doi.org/10.1016/j.marpolbul.2008.03.040] [PMID: 184743 77] ]. Some of them represent model organisms for studying effects of pollutants. Bivalve mussels and crustaceans are commonly used as sentinel organisms for biomonitoring the aquatic environment thanks to their sedentary or sessile (in the case of mussels) life, widespread distribution, and relative tolerance to pollutants. Their biochemical and cellular responses to pollutant exposure are successfully used as early warning tools in aquatic environmental monitoring and assessment [11Lionetto MG, Giordano ME, Caricato R, Pascariello MF, Marinosci L, Schettino T. Biomonitoring of heavy metal contamination along the Salento coast (Italy) by metallothionein evaluation in Mytilus galloprovincialis and Mullus barbatus. Aquatic Conser: Mar Freshw Ecosyst 2001; 11: 305-10. [http://dx.doi.org/10.1002/aqc.458] , 19Lionetto MG, Caricato R, Giordano ME, Pascariello MF, Marinosci L, Schettino T. Integrated use of biomarkers (acetylcholinesterase and antioxidant enzymes activities) in Mytilus galloprovincialis and Mullus barbatus in an Italian coastal marine area. Mar Pollut Bull 2003; 46(3): 324-30. [http://dx.doi.org/10.1016/S0025-326X(02)00403-4] [PMID: 126040 66] -22Caricato R, Lionetto MG, Dondero F, Viarengo A, Schettino T. Carbonic anhydrase activity in Mytilus galloprovincialis digestive gland: Sensitivity to heavy metal exposure. Comp Biochem Physiol C Toxicol Pharmacol 2010; 152(3): 241-7. [http://dx.doi.org/10.1016/j.cbpc.2010.04.011] [PMID: 2046 2499] ]. In the case of soil pollution, the measurement of biomarkers on organisms living in the soil have become of major importance for the assessment of the quality of the soil compartment [23Sanchez-Hernandez JC. Earthworm biomarkers in ecological risk assessment. Rev Environ Contam Toxicol 2006; 188: 85-126. [http://dx.doi.org/10.1007/978-0-387-32964-2_3] [PMID: 17 016917] ]. Also in this case, soil invertebrates represent good sentinel organisms because they are in direct contact with soil and pore water, in contrast to many vertebrates that are indirectly exposed through the food chain [23Sanchez-Hernandez JC. Earthworm biomarkers in ecological risk assessment. Rev Environ Contam Toxicol 2006; 188: 85-126. [http://dx.doi.org/10.1007/978-0-387-32964-2_3] [PMID: 17 016917] ]. Among soil invertebrates earthworms are considered relevant bioindicators of soil pollution [12Calisi A, Lionetto MG, De Lorenzis E, Leomanni A, Schettino T. Metallothionein induction in the coelomic fluid of the earthworm Lumbricus terrestris following heavy metal exposure: a short report. BioMed Res Intern 2014. Article ID 109386, 24Lanno R, Wells J, Conder J, Bradham K, Basta N. The bioavailability of chemicals in soil for earthworms. Ecotoxicol Environ Saf 2004; 57(1): 39-47. [http://dx.doi.org/10.1016/j.ecoenv.2003.08.014] [PMID: 1465 9365] -29Calisi A, Grimaldi A, Leomanni A, Lionetto MG, Dondero F, Schettino T. Multibiomarker response in the earthworm Eisenia fetida as tool for assessing multi-walled carbon nanotube ecotoxicity. Ecotoxicology 2016; 25(4): 677-87. [http://dx.doi.org/10.1007/s10646-016-1626-x] [PMID: 2689 2788] ] because of their particular interactions with soil. In fact, they contribute to mineralization and humification of organic matter by food consumption, respiration, and gut passage [30Lemtiri A, Colinet G, Alabi T, et al. Impacts of earthworms on soil components and dynamics. A review. Biotechnol Agron Soc Environ 2014; 18(1): 121-33.]. The most assessed biomarkers in environmental biomonitoring encompass lysosomal endpoints, oxidative stress, specific responses to metals, neurotoxic pollutants and genotoxic substances. The lysosomal system, composed by primary lysosomes, auto and heterophagic vesicles, secondary lysosomes (phagosomes) and residual corpuscles, is responsible for the breakdown of all the constituents of the cells, and endocytosed macromolecules, and it is also involved in cell defense mechanisms, in the protection against toxic agents and infections [31Cuervo AM, Dice JF. Age-related decline in chaperone-mediated autophagy. J Biol Chem 2000; 275(40): 31505-13. [http://dx.doi.org/10.1074/jbc.M002102200] [PMID: 1080 6201] ]. In a number of invertebrates it is known to react to pollutant exposure through alteration in lysosomal membrane stability, alteration in lysosomal number and fusion events [32Moore MN, Icarus Allen J, McVeigh A. Environmental prognostics: an integrated model supporting lysosomal stress responses as predictive biomarkers of animal health status. Mar Environ Res 2006; 61(3): 278-304. [http://dx.doi.org/10.1016/j.marenvres.2005.10.005] [PMID: 163436 09] -34Marigómez I, Lekube X, Cajaraville MP, Domouhtsidou G, Dimitriadis V. Comparison of cytochemical procedures to estimate lysosomal biomarkers in mussel digestive cells. Aquat Toxicol 2005; 75(1): 86-95. [http://dx.doi.org/10.1016/j.aquatox.2005.07.002] [PMID: 16 102854] ]. These lysosomal responses, also called lysosomal activation, are related to enhanced autophagy following pollutant exposure. In particular, lysosomal membrane destabilization (assessed by lysosomal enzyme latency in frozen tissue sections or lysosomal dye retention in circulating cells) is one on the most commonly used biomarkers in invertebrates in environmental biomonitoring. It is a general biomarker of effect very sensitive to both inorganic and organic toxic chemicals in a number of sentinel species [35Rocco A, Scott-Fordsmand J, Maisto G, Manzo S, Salluzzo A, Jensen J. Suitability of lysosomal membrane stability in Eisenia fetida as biomarker of soil copper contamination. Ecotoxicol Environ Saf 2011; 74(4): 984-8. [http://dx.doi.org/10.1016/j.ecoenv.2011.01.013] [PMID: 2129 6422] , 36Moore MN, Viarengo AG, Somerfield PJ, Sforzini S. Linking lysosomal biomarkers and ecotoxicological effects at higher biological levels. Amiard-Triquet C, Amiard JC, Rainbow PS, editors Ecological Biomarkers: Indicators of Ecotoxicological Effects 2013; 107-30.]. The reduction of lysosomal membrane stability is often associated with an increase of the lysosome/cell volume ratio [37Moore MN, Kohler A, Lowe D, Viarengo A. Lysosomes and autophagy in aquatic animals. Methods Enzymol 2008; 451: 581-620. [http://dx.doi.org/10.1016/S0076-6879(08)03233-3] [PMID: 19 185741] ], which is in turn indicative of a not physiological level of cell catabolism. The exposure to pollutants (either organic or inorganic) is known to generate oxidative stress in the cells, arising from the enhancement of reactive species and perturbation of antioxidant efficiency [38Regoli F, Giuliani ME. Oxidative pathways of chemical toxicity and oxidative stress biomarkers in marine organisms. Mar Environ Res 2014; 93: 106-17. [http://dx.doi.org/10.1016/j.marenvres.2013.07.006] [PMID: 23 942183] , 39Regoli F, Gorbi S, Fattorini D, et al. Use of the land snail Helix aspersa as sentinel organism for monitoring ecotoxicologic effects of urban pollution: An integrated approach. Environ Health Perspect 2006; 114(1): 63-9. [http://dx.doi.org/10.1289/ehp.8397] [PMID: 16393660] ]. GSH is one of the most commonly used marker of oxidative stress condition [40Dalle-Donne I, Rossi R, Colombo R, Giustarini D, Milzani A. Biomarkers of oxidative damage in human disease. Clin Chem 2006; 52(4): 601-23. [http://dx.doi.org/10.1373/clinchem.2005.061408] [PMID: 16 484333] ]. It is an important intracellular scavenger of free radicals and neutralizes peroxides in combination with glutathione peroxidase and glutathione reductase, thus maintaining the redox balance of cells. Measurement of the ratio between the reduced and oxidized glutathione (GSH/GSSG ratio) is a useful tool to assess the oxidative stress status of the organism. Lipid peroxidation products such as malondialdehyde, arising from the oxidative degradation of membrane phospholipids, represent another commonly used markers of oxidative stress. In addition, antioxidant enzymes such as catalase, superoxide dismutase and glutathione peroxidase [38Regoli F, Giuliani ME. Oxidative pathways of chemical toxicity and oxidative stress biomarkers in marine organisms. Mar Environ Res 2014; 93: 106-17. [http://dx.doi.org/10.1016/j.marenvres.2013.07.006] [PMID: 23 942183] , 41Leomanni A, Schettino T, Calisi A, et al. Antioxidant and oxidative stress related responses in the Mediterranean land snail Cantareus apertus exposed to the carbamate pesticide Carbaryl. Comp Biochem Physiol C Toxicol Pharmacol 2015; 168(Part C): 20-7. [http://dx.doi.org/10.1016/j.cbpc.2014.11.003] [PMID: 2545 1076] ] have been demonstrated to be altered in their activity and expression by the exposure to either organic or inorganic pollutants, demonstrating to be general biomarkers of oxidative stress suitable for assessing effects of pollutants in aquatic and terrestrial ecosystems at early stages and with low concentrations. The most commonly used specific response to metals used as biomarker in environmental biomonitoring is represented by metallothionein, cysteine-rich metal-binding proteins which are involved in detoxification and homeostasis of heavy metals. Their ubiquitous distribution suggests that they play a fundamental and conserved role in cells. The metal affinity for the binding site follows the general order found for inorganic thiolates, such as Hg > Cu > Cd > Zn. A number of laboratory and field studies have demonstrated their usefulness as biomarker of trace metal exposure in a number of aquatic and terrestrial bioindicator organisms [11Lionetto MG, Giordano ME, Caricato R, Pascariello MF, Marinosci L, Schettino T. Biomonitoring of heavy metal contamination along the Salento coast (Italy) by metallothionein evaluation in Mytilus galloprovincialis and Mullus barbatus. Aquatic Conser: Mar Freshw Ecosyst 2001; 11: 305-10. [http://dx.doi.org/10.1002/aqc.458] , 12Calisi A, Lionetto MG, De Lorenzis E, Leomanni A, Schettino T. Metallothionein induction in the coelomic fluid of the earthworm Lumbricus terrestris following heavy metal exposure: a short report. BioMed Res Intern 2014. Article ID 109386, 42Shariati F, Shariati S. Review on methods for determination of metallothioneins in aquatic organisms. Biol Trace Elem Res 2011; 141(1-3): 340-66. [http://dx.doi.org/10.1007/s12011-010-8740-z] [PMID: 2060 7442] ]. The most assessed biomarker as response to neurotoxic compounds is represented by acetylcholinesterase inhibition. Acetylcholinesterase is a key enzyme in the nervous system, catalyzing the hydrolysis of the neurotransmitter acetylcholine. It is the target site of inhibition by organophosphate and carbamate pesticides. Monitoring of acetylcholinesterase inhibition is widely used as biomarker of organophosphorus and carbamate exposure either in aquatic [19Lionetto MG, Caricato R, Giordano ME, Pascariello MF, Marinosci L, Schettino T. Integrated use of biomarkers (acetylcholinesterase and antioxidant enzymes activities) in Mytilus galloprovincialis and Mullus barbatus in an Italian coastal marine area. Mar Pollut Bull 2003; 46(3): 324-30. [http://dx.doi.org/10.1016/S0025-326X(02)00403-4] [PMID: 126040 66] , 43Lionetto MG, Caricato R, Calisi A, Giordano ME, Schettino T. Acetylcholinesterase as a biomarker in environmental and occupational medicine: New insights and future perspectives. BioMed Res Int 2013. Article ID 321213] or terrestrial environments [28Calisi A, Zaccarelli N, Lionetto MG, Schettino T. Integrated biomarker analysis in the earthworm Lumbricus terrestris: application to the monitoring of soil heavy metal pollution. Chemosphere 2013; 90(11): 2637-44. [http://dx.doi.org/10.1016/j.chemosphere.2012.11.040] [PMID: 23 266410] ]. Recently new insight are emerging in the use of acetylcholinesterase as biomarker in environmental biomonitoring. In fact, a number of contaminants other than organophosphorus and carbamate pesticides, including trace metals, detergents, hydrocarbons and some herbicides, have recently been shown to exert anticholinesterase activity [44Lionetto MG, Caricato R, Calisi A, Schettino T. Acetylcholinesterase inhibition as a relevant biomarker in environmental biomonitoring: New insights and perspectives.Ecotoxicology around the world 2011; 2011; 87-115.,45Lionetto MG, Caricato R, Giordano ME, Schettino T. Acetylcholinesterase as biomarker in environmental biomonitoring. In: Parven M, Kumar S, Eds. Recent trends in acetylcholinesterase system 2005; 91-101.]. Therefore, acetylcholinesterase inhibition appears a relevant tool for investigating biological effects of a complex mixture of many neurotoxic compounds particularly in aquatic environments. The continuous discharge of genotoxic compounds in the environment is of major concern. Genotoxic compounds, interacting with DNA, lead to several alterations (such as point mutations, chromosomal re-arrangements, DNA adducts, DNA strand breaks and increased number of micronuclei) [46Medina MH, Correa JA, Barata C. Micro-evolution due to pollution: Possible consequences for ecosystem responses to toxic stress. Chemosphere 2007; 67(11): 2105-14. [http://dx.doi.org/10.1016/j.chemosphere.2006.12.024] [PMID: 17267012] ]. Considering the importance of the effects associated with DNA damage, genotoxicity biomarkers are considered of pivotal importance for identification of potential risks and adverse health effects on the biota. A large number of methods have been applied to evaluate genotoxic damage in different aquatic and terrestrial species. Comet assay, as marker for detecting DNA alterations, and micronucleus test, as marker of chromosomal damage, are the most widely applied and validated methods in field studies and frequently employed in biomonitoring programs [47Bolognesi C, Cirillo S. Genotoxicity biomarkers in aquatic bioindicators. Curr Zool 2014; 60(2): 273-84. [http://dx.doi.org/10.1093/czoolo/60.2.273] ]. In human biomonitoring pollution biomarkers are measured in human tissues and/or fluids from subjects currently exposed or had been exposed in the past or to be exposed to chemical risk factors in the workplace and/or in the general environment [10Manno M, Viau C, Cocker J, et al. Biomonitoring for occupational health risk assessment (BOHRA). Toxicol Lett 2010; 192(1): 3-16. [http://dx.doi.org/10.1016/j.toxlet.2009.05.001] [PMID: 1944 6015] ] with the goal to prevent the health effects of exposure to pollutants. Human biomonitoring is a useful tool for the exposure assessment of selected populations and it is currently used in surveillance programs all over the world [48Manno M, Viau C, Cocker J, et al. Biomonitoring for occupational health risk assessment (BOHRA). Toxicol Lett 2010; 192(1): 3-16. [http://dx.doi.org/10.1016/j.toxlet.2009.05.001] [PMID: 1944 6015] ]. Biomarker of internal dose are commonly measured in human biomonitoring as biomarker of exposure. Biomarkers of internal dose of compounds such as dioxins, dioxin-like PCBs and metals, which are stable in the human body, consist in the measurements of the original compound concentrations in blood, serum or urine. For chemicals that are metabolized, such as organophosphate pesticides or phthalates, metabolites of the original compound are often used as biomarkers of exposure and generally measured in urine [49Human biomonitoring: facts and figures 2015.]. In the last three decades several hundred exposure biomarkers have been measured in different body fluids in various populations. This amount of information has been recently collected in a database dedicated to biomarkers of exposure to environmental risk factors, the Exposome-Explorer data base (http://exposome-explorer.iarc. fr). It contains information on the nature of biomarkers, their concentrations in human specimens, the analytical techniques used for measurement, the population where they were measured, and correlations with external exposure measurements [50Neveu V, Moussy A, Rouaix H, et al. Exposome-Explorer: a manually-curated database on biomarkers of exposure to dietary and environmental factors. Nucleic Acids Res 2017; 45(D1): D979-84. [http://dx.doi.org/10.1093/nar/gkw980] [PMID: 27924041] ]. As regards effect biomarkers one of the early responses characterized in human environmental exposure and utilized in human biomonitoring is represented by the inhibition of the enzyme acetylcho-linesterase as biomarker of effect on nervous system following exposure to organophosphorus compounds [43Lionetto MG, Caricato R, Calisi A, Giordano ME, Schettino T. Acetylcholinesterase as a biomarker in environmental and occupational medicine: New insights and future perspectives. BioMed Res Int 2013. Article ID 321213]. Its use is increased in the last decades. Today quantification of acetylcholinesterase levels in blood is the conventional method of assessing the extent of occupational exposure to organophosphate compounds in exposed environments (for example, environments concerned with pesticide production and use). The success of this biomarker response relies in a number of characteristics necessary for the successful application of a biological response as valuable biomarker in human biomonitoring, such as its dose-dependent behavior to pollutant exposure, its sensitivity, its link to health adverse effects, and the ease with which it can be measured. More recently, a particular emphasis in human biomonitoring is posed on the exposures to carcinogens. Therefore, the development and use of genotoxicity biomarkers is rapidly grown to measure specific occupational and environmental exposures, to predict the risk of pathological development, or to monitor the effectiveness of exposure control procedures to genotoxic chemicals [10Manno M, Viau C, Cocker J, et al. Biomonitoring for occupational health risk assessment (BOHRA). Toxicol Lett 2010; 192(1): 3-16. [http://dx.doi.org/10.1016/j.toxlet.2009.05.001] [PMID: 1944 6015] , 49Human biomonitoring: facts and figures 2015.]. Micronuclei, chromosomal aberrations, 8-hydroxydeoxyguanosine (8-OHdG) and comet assay are the most commonly used genotoxicity biomarkers. In particular, assessment of DNA damage using the comet assay has been widely used in a number of human biomonitoring programmes [51Battershill JM, Burnett K, Bull S. Factors affecting the incidence of genotoxicity biomarkers in peripheral blood lymphocytes: Impact on design of biomonitoring studies. Mutagenesis 2008; 23(6): 423-37. [http://dx.doi.org/10.1093/mutage/gen040] [PMID: 18678752] , 52Ersson C. International validation of the comet assay and a human intervention study 2011.]. It is a sensitive and rapid technique, which can be applied to various types of cells and offer the possibility to detect various types of DNA damage, such as alkaline labile sites, single and double strand breaks, and oxidative damage [53Collins A, Koppen G, Valdiglesias V, et al. The comet assay as a tool for human biomonitoring studies: The ComNet project. Mutat Res Rev Mutat Res 2014; 759: 27-39. [http://dx.doi.org/10.1016/j.mrrev.2013.10.001] [PMID: 2418 4488] , 54Collins AR, Azqueta A. DNA repair as a biomarker in human biomonitoring studies; further applications of the comet assay. Mutat Res 2012; 736(1-2): 122-9. [http://dx.doi.org/10.1016/j.mrfmmm.2011.03.005] [PMID: 21 459100] ]. Micronuclei frequency in the lymphocytes and buccal mucosal cells has been commonly employed as effect biomarker to identify populations at risk, contributing to implementation of regulations and better risk management [55Burgaz S, Coskun E, Demircigil GC, et al. Micronucleus frequencies in lymphocytes and buccal epithelial cells from patients having head and neck cancer and their first-degree relatives [http://dx.doi.org/10.1093/mutage/geq101] ]. Inflammation-related biomarkers, such as cytokines /chemochines determination in human biomonitoring is an area of great promise [56Brenner DR, Scherer D, Muir K, et al. A review of the application of inflammatory biomarkers in epidemiologic cancer research. Cancer Epidemiol Biomarkers Prev 2014; 23(9): 1729-51. [http://dx.doi.org/10.1158/1055-9965.EPI-14-0064] [PMID: 24 962838] ]. They are considered a mainstream marker for assessing the systemic inflammatory response to external stressors [57Angrish MM, Pleil JD, Stiegel MA, Madden MC, Moser VC, Herr DW. Taxonomic applicability of inflammatory cytokines in Adverse Outcome Pathway (AOP) development. J Toxicol Environ Health A 2016; 79(4): 184-96. [http://dx.doi.org/10.1080/15287394.2016.1138923] [PMID: 26 914248] ]. Recently, inflammatory cytokines measurement in blood has been suggest as a tool for bridging alteration in physiological parameters to environmental exposures [58Stiegel MA, Pleil JD, Sobus JR, Stevens T, Madden MC. Linking physiological parameters to perturbations in the human exposome: Environmental exposures modify blood pressure and lung function via inflammatory cytokine pathway. J Toxicol Environ Health A 2017; 80(9): 485-501. [http://dx.doi.org/10.1080/15287394.2017.1330578] [PMID: 28 696913] ]. Polymorphism in genes of enzymes involved in xenobiotic metabolism are used as marker of susceptibility, because they increase the susceptibility of an individual to various xenobiotics and are associated with carcinogenesis [59Singh S, Singhal NK, Srivastava G, Singh MP. Omics in mechanistic and predictive toxicology. Toxicol Mech Methods 2010; 20(7): 355-62. [http://dx.doi.org/10.3109/15376510903559976] [PMID: 2008 2572] ]. Genotypes of polymorphisms can be detected by PCR in blood samples. For example, polymorphisms for cytochrome P450, which is a family of isozymes responsible for the biotransformation of several drugs, increased the risk of developing lung cancer and head and neck cancer several fold when present in combination with the polymorphisms for glutathione-S- transferase (GSTM1 and GSTT1) [60Singh AP, Shah PP, Ruwali M, Mathur N, Pant MC, Parmar D. Polymorphism in cytochrome P4501A1 is significantly associated with head and neck cancer risk. Cancer Invest 2009; 27(8): 869-76. [http://dx.doi.org/10.1080/07357900902849657] [PMID: 1963 9480] -62Singh S, Shah PP, Singh AP, et al. Association of genetic polymorphisms in glutathione S-transferases and susceptibility to head and neck cancer. Mutat Res 2008; 638(1-2): 184-94. [http://dx.doi.org/10.1016/j.mrfmmm.2007.10.003] [PMID: 18 035380] ]. Another growing topic in the field of human biomonitoring is represented by oxidative stress biomarkers. Oxidative stress can be caused by many different environmental exposures and it is involved in the pathogenesis of multiple diseases. A great attention has been paid for biomarkers of oxidative damage to DNA and lipids measured in cells, tissues or biological fluids. For example oxidative stress plays a key role in the health effects of air pollution, especially particulate matter, including major outcomes such as cancer and airway and cardiovascular diseases [63Delfino RJ, Staimer N, Vaziri ND. Air pollution and circulating biomarkers of oxidative stress. Air Qual Atmos Health 2011; 4(1): 37-52. [http://dx.doi.org/10.1007/s11869-010-0095-2] [PMID: 2362 6660] ]. A number of potential biomarker of oxidative stress can be suitable such as oxidation of low density lipoprotein (ox-LDL), antioxidant enzymes, and lipid peroxidation products [63Delfino RJ, Staimer N, Vaziri ND. Air pollution and circulating biomarkers of oxidative stress. Air Qual Atmos Health 2011; 4(1): 37-52. [http://dx.doi.org/10.1007/s11869-010-0095-2] [PMID: 2362 6660] , 64Niki E. Lipid peroxidation products as oxidative stress biomarkers. Biofactors 2008; 34(2): 171-80. [http://dx.doi.org/10.1002/biof.5520340208] [PMID: 1970 6982] ]. However, further studies are needed to assess the reliability and validity of oxidative stress biomarkers in human biomonitoring in relationship to a number of environmental exposures. Although a great number of works have been produced on the use of biomarkers in environmental or human biomonitoring, to date few studies have considered an integrated approach with both human and wildlife species as sentinel organisms. However, the recent growing attention to understanding the links between multiple stressors and multiple health effects has stimulated the interest for an integrated approach in biomonitoring, useful for an integrated risk assessment view. The need of an integrated assessment of human and environmental risks has been declared by a number of international institutions and agencies, such as WHO, EPA or OECD with the aim to improve risk assessment and management and promote policy implementation [18Hagger JA, Jones MB, Lowe D, Leonard DR, Owen R, Galloway TS. Application of biomarkers for improving risk assessments of chemicals under the Water Framework Directive: A case study. Mar Pollut Bull 2008; 56(6): 1111-8. [http://dx.doi.org/10.1016/j.marpolbul.2008.03.040] [PMID: 184743 77] , 65Munns WR, Suter GW II, Damstra T, Kroes R, Reiter LW, Marafante E. Integrated risk assessment: Results from an international workshop. Hum Ecol Risk Assess 2003; 9(1): 379-86. [http://dx.doi.org/10.1080/713609870] ]. As suggested by Galloway et al. [66Galloway TS. Biomarkers in environmental and human health risk assessment. Mar Pollut Bull 2006; 53(10-12): 606-13. [http://dx.doi.org/10.1016/j.marpolbul.2006.08.013] [PMID: 17 011590] ], environmental quality assessment and health risk assessment should not be considered separately, because they have strong interactions. Their integration has the potentiality to produce more realistic results and to enhance the predictive capability of the obtained data in both environmental and human health studies. Risk assessment consists in the estimate of the probability of an adverse effect occurring as a consequence of contaminant release [67Liu SY, Wang HQ, Li YL. Current progress of environmental risk assessment research. Procedia Environ Sci 2012; 13: 1477-83. [http://dx.doi.org/10.1016/j.proenv.2012.01.139] ]. Human and environmental risk assessment have the main aim of the protection of humans or natural populations respectively form the harm that comes from chemical contaminants emissions. They share the same fundamental four steps procedures [68EPA, Proposed Guidelines for Ecological Risk Assessment, EPA/630/R-95/002B August 1996, Risk Assessment Forum. 1996; 247. ], including hazard identification, exposure assessment, dose–response assessment and risk characterization. With this regard, biomarkers can contribute to risk assessment, particularly in hazard identification, exposure assessment and to associate a response with the probability of a pathological outcome both in sentinel species and in humans. Therefore, they represent a valuable tool for developing an integrated view of risk assessment. In many case pollutants show common molecular and cellular toxicity mechanisms of action on living organisms. With this regards, molecular and cellular biomarkers represent useful tools for bridging human and environmental issued studies (Fig. 3 ). For example, acetylcholinesterase inhibition is the typical mechanism of action of organophosphate and carbamate pesticides in both humans and animal organisms [44Lionetto MG, Caricato R, Calisi A, Schettino T. Acetylcholinesterase inhibition as a relevant biomarker in environmental biomonitoring: New insights and perspectives.Ecotoxicology around the world 2011; 2011; 87-115., 48Manno M, Viau C, Cocker J, et al. Biomonitoring for occupational health risk assessment (BOHRA). Toxicol Lett 2010; 192(1): 3-16. [http://dx.doi.org/10.1016/j.toxlet.2009.05.001] [PMID: 1944 6015] ]. Carbonic anhydrase inhibition have been demonstrated to be sensitive to pollutant exposure such as heavy metals and organic chemicals in both humans and a number of animal species [22Caricato R, Lionetto MG, Dondero F, Viarengo A, Schettino T. Carbonic anhydrase activity in Mytilus galloprovincialis digestive gland: Sensitivity to heavy metal exposure. Comp Biochem Physiol C Toxicol Pharmacol 2010; 152(3): 241-7. [http://dx.doi.org/10.1016/j.cbpc.2010.04.011] [PMID: 2046 2499] , 69Lionetto MG, Caricato R, Giordano ME, Erroi E, Schettino T. Carbonic anhydrase as pollution biomarker: An ancient enzyme with a new use. Int J Environ Res Public Health 2012; 9(11): 3965-77. [http://dx.doi.org/10.3390/ijerph9113965] [PMID: 23202827] -73Lionetto MG, Caricato R, Giordano ME, Schettino T. Carbonic anhydrase based biomarkers: Potential application in human health and environmental sciences. Curr Biomark 2016; 6: 40-6. [http://dx.doi.org/10.2174/2468422806666161116143730] ]. Stimulation of reactive species generation, alteration of the antioxidant defenses and oxidative damage to DNA and lipids are mechanisms of toxicity of several pollutants in both humans and wildlife [41Leomanni A, Schettino T, Calisi A, et al. Antioxidant and oxidative stress related responses in the Mediterranean land snail Cantareus apertus exposed to the carbamate pesticide Carbaryl. Comp Biochem Physiol C Toxicol Pharmacol 2015; 168(Part C): 20-7. [http://dx.doi.org/10.1016/j.cbpc.2014.11.003] [PMID: 2545 1076] , 63Delfino RJ, Staimer N, Vaziri ND. Air pollution and circulating biomarkers of oxidative stress. Air Qual Atmos Health 2011; 4(1): 37-52. [http://dx.doi.org/10.1007/s11869-010-0095-2] [PMID: 2362 6660] , 74Valavanidis A, Vlahogianni T, Dassenakis M, Scoullos M. Molecular biomarkers of oxidative stress in aquatic organisms in relation to toxic environmental pollutants. Ecotoxicol Environ Saf 2006; 64(2): 178-89. [http://dx.doi.org/10.1016/j.ecoenv.2005.03.013] [PMID: 1640 6578] ]. Comet assay has been widely accepted as a simple, sensitive, and rapid tool for assessing DNA damage and repair in a great number of cell types in diverse species, and has increasingly found application in the biomonitoring field [75Dhawan A, Bajpayee M, Parmar D. Comet assay: A reliable tool for the assessment of DNA damage in different models. Cell Biol Toxicol 2009; 25(1): 5-32. [http://dx.doi.org/10.1007/s10565-008-9072-z] [PMID: 1842 7939] , 76Anderson D, Dhawan A, Laubenthal J. The comet assay in human biomonitoring. Methods Mol Biol 2013; 1044: 347-62. [http://dx.doi.org/10.1007/978-1-62703-529-3_18] [PMID: 23 896886] ]. Therefore, a number of biomarkers can be valuable for an integrated approach addressed to intervention strategies for prevention or reduction of deleterious health effects of chemical contamination in the environment as well as in humans. Recent advances in molecular biology and OMIC sciences (genomics, transcriptomics, proteomics, lipidomics, epigenomics and metabolomics, etc.) are gaining increased consideration in human and environmental biomonitoring, giving the opportunity for developing novel and more sensitive biomarkers to be utilized in an integrated approach [77Abril N, Ruiz-Laguna J, Osuna-Jiménez I, et al. Omic approaches in environmental issues. J Toxicol Environ Health A 2011; 74(15-16): 1001-19. [http://dx.doi.org/10.1080/15287394.2011.582259] [PMID: 21 707425] -79Muñoz B, Albores A. The role of molecular biology in the biomonitoring of human exposure to chemicals. Int J Mol Sci 2010; 11(11): 4511-25. [http://dx.doi.org/10.3390/ijms11114511] [PMID: 21151453] ]. Biomarkers can represent useful tools for bridging environmental and human biomonitoring. Biomarkers used in an integrated biomonitoring approach can contribute to a better understanding of the exposure routes and of mechanisms underlying adverse effects in both humans and biota. Some examples are available in literature. Markt [80Markert B. From biomonitoring to integrated observation of the environment - The Multi-Markered Bioindication Concept. Ecol Chem Eng 2008; 15(3): 315-33.] theorized a Multi-Markered Bioindication Concept which consists in a whole concept of bioindication based on the integration of human toxicology and ecotoxicology. More recently Liu et al. [81Liu HY, Bartonova A, Pascal M, Smolders R, Skjetne E, Dusinska M. Approaches to integrated monitoring for environmental health impact assessment. Environ Health 2012; 11: 88. [http://dx.doi.org/10.1186/1476-069X-11-88] [PMID: 23171 406] ] drew a conceptual framework for integrated environmental health monitoring based on the description of the natural-eco-anthropogenic system in which human health is considered the result of the environmental state and sustainability of natural and socio-economic environment. Therefore, environmental monitoring, biomonitoring, eco-surveillance and health surveillance are seen as interconnections between the diverse components of the whole system [81Liu HY, Bartonova A, Pascal M, Smolders R, Skjetne E, Dusinska M. Approaches to integrated monitoring for environmental health impact assessment. Environ Health 2012; 11: 88. [http://dx.doi.org/10.1186/1476-069X-11-88] [PMID: 23171 406] ]. In a study carried out in Germany, the human internal dose of Polychlorinated Biphenyls (PCBs) and Hexachlorobenzene (HCB) measured in human blood plasma were compared with data from pine shoots, egg matter of city pigeons, earthworm, and roe deer liver, providing an integrated view of the relationships between concentrations in human and biota [82Pandelova M, Schramm KW. Human and environmental biomonitoring of polychlorinated biphenyls and hexachlorobenzene in Saxony, Germany based on the German Environmental Specimen Bank. Int J Hyg Environ Health 2012; 215(2): 220-3. [http://dx.doi.org/10.1016/j.ijheh.2011.11.005] [PMID: 2215 3877] ]. Kier et al. [83Kier LD. Review of genotoxicity biomonitoring studies of glyphosate-based formulations. Crit Rev Toxicol 2015; 45(3): 209-18. [http://dx.doi.org/10.3109/10408444.2015.1010194] [PMID: 25 687244] ] reviewed human and environmental genotoxicity biomonitoring studies involving exposure to glyphosate based formulations to complement an earlier review of experimental genotoxicity studies of the herbicide. In recent years pollution biomarkers have proved their usefulness as early warning of adverse effects in both human and environmental biomonitoring. In perspective, pollution biomarkers can represent useful tools for integrating human and environmental issued studies and bridging human and environmental risk assessment. They can contribute to improve our knowledge on the link between environmental contamination and human health and ecosystem health in a more global vision, in which human health threat can be considered part of a more complex threat to the health of the whole environment. The study of pollution biomarkers should be explored more extensively in the area of integrated biomonitoring and integrated risk assessment in the coming years. In perspective, this represent a fruitful research arena for developing novel approaches in biomarker implementation in environmental and human health issued studies. This study was supported by PRIN (Progetti di Rilevate Interesse Nazionale) project 2010–2011 prot. 2010ARBL T7_005. Lemtiri A, Colinet G, Alabi T, et al. Impacts of earthworms on soil components and dynamics. A review. Biotechnol Agron Soc Environ 2014; 18(1): 121-33. Moore MN, Viarengo AG, Somerfield PJ, Sforzini S. Linking lysosomal biomarkers and ecotoxicological effects at higher biological levels. Amiard-Triquet C, Amiard JC, Rainbow PS, editors Ecological Biomarkers: Indicators of Ecotoxicological Effects 2013; 107-30. Lionetto MG, Caricato R, Calisi A, Schettino T. Acetylcholinesterase inhibition as a relevant biomarker in environmental biomonitoring: New insights and perspectives.Ecotoxicology around the world 2011; 2011; 87-115. Lionetto MG, Caricato R, Giordano ME, Schettino T. Acetylcholinesterase as biomarker in environmental biomonitoring. In: Parven M, Kumar S, Eds. Recent trends in acetylcholinesterase system 2005; 91-101. Human biomonitoring: facts and figures 2015. Ersson C. International validation of the comet assay and a human intervention study 2011. EPA, Proposed Guidelines for Ecological Risk Assessment, EPA/630/R-95/002B August 1996, Risk Assessment Forum. 1996; 247. Lionetto MG, Caricato R, Giordano ME, Erroi E, Schettino T. Carbonic anhydrase and heavy metals.2012. Markert B. From biomonitoring to integrated observation of the environment - The Multi-Markered Bioindication Concept. Ecol Chem Eng 2008; 15(3): 315-33.